What is my customer number? We assign everyone a customer number as another way to confirm your identity when you call our Support team. You don't need your customer number to log in, and it's different from your Support PIN. Follow these steps to find your customer number. Your customer number appears below your name. 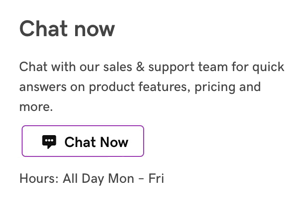 If you were really looking for your Support PIN, click View below your customer number. Your Current PIN appears in the Support PIN section. To chat with our support team, visit our Contact Us page and click Chat Now. If live chat isn't available, on the same page look under Call us for support phone numbers. If you can't log in, here's a list of Help articles to get you back on track. To reset your PIN, see Change my Support PIN. Attempting to access my Workspace email and can't login. What to do? Why did I receive an email message with my customer number? What does GDPR mean for my business?